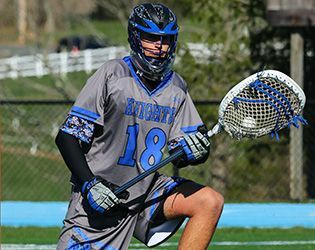 The results are in from NJ.com's annual poll for best non-public / prep lacrosse goalie with Will Dadouris '17 as the clear winner. Claiming more than a third of the 70,000 votes, Dadouris outpaced second-place Immacualta junior Johnny Rech by a margin of more than 8,000 votes. This season, Dadouris has contributed 80 saves, including, most recently, 11 in Saturday's 21-1 win over High Point.